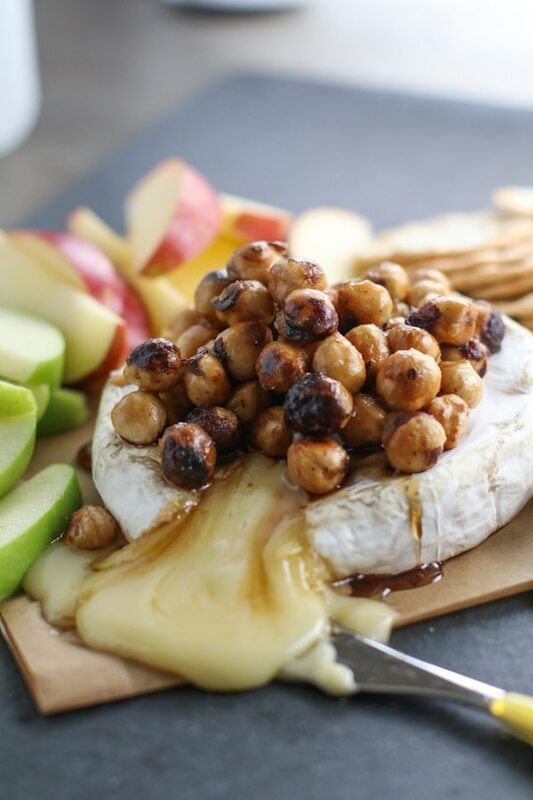 Baked Brie recipe with Brown Sugar Hazelnuts adds a sweet and crunchy element to the creamy melted cheese. It is pure heaven! I’ve got a thing for easy holiday appetizers and melty cheese aka Baked Brie. Um, who doesn’t? After browsing through my recipe index, I couldn’t believe I didn’t have any sort of recipe for baked brie. Do you know how easy it is to make baked brie? You literally unwrap your cheese and bake it. That’s it. This recipe takes it a step further by pouring a melted brown sugar and hazelnut mixture overtop of the hot cheese making it ooze even more and adding some sweetness and crunch to the creamy cheese. It’s pure heaven, incase you’re wondering. If you happen to do this in front of your guests, they will be wowed. It’s kind of show stopping, and takes zero skill. The best kind of recipe. For my ingredients, I ran over to my local Fred Meyer, picked all three items up and had this ready to eat in a cool 20 minutes. Not too shabby. Start by taking an 8-ounce round of brie and unwrapping it. I know, so hard. I used a Murray’s brand cheese which is available exclusively at Murray’s and Kroger stores. Totally awesome. like so! So, you just add them to a dry pan and roll them around until the skins start to shed and they get a little color. 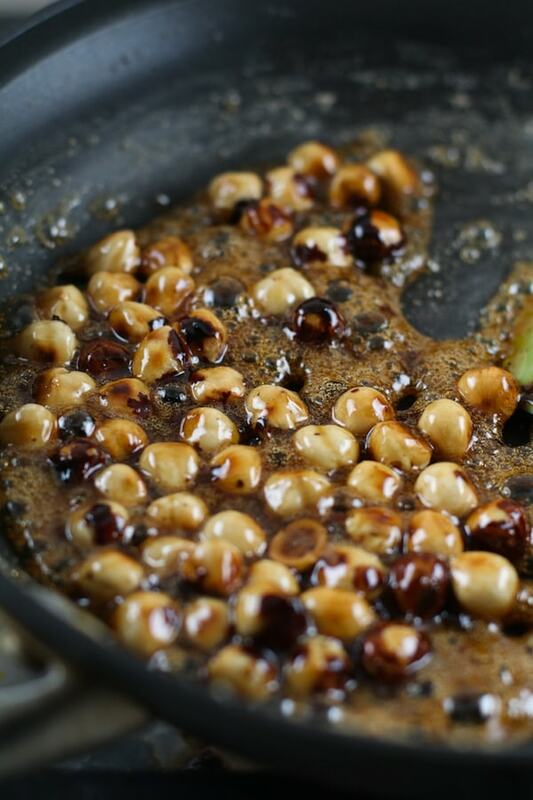 So into the warm pan that you just rolled the hazelnuts out of, add in the water and brown sugar. Stir this together to combine and then melt the sugar. 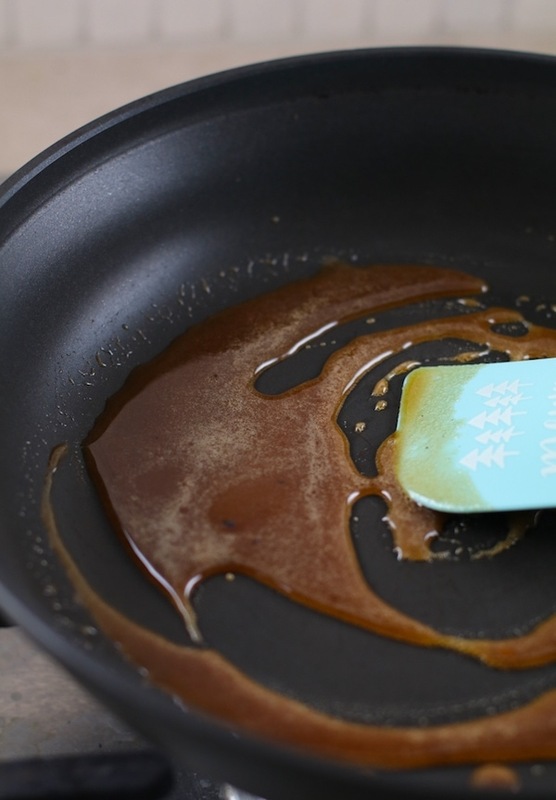 As it heats up, the sugar will melt which is what you want! Add in the nuts and continue to heat until the sugar mixture starts to bubble lightly. Then remove immediately from the heat and pour over the warm cheese. Like so! Be sure to serve immediately so the sugar stays melted and the cheese is hot and oozy!! It’s so so good, you guys. 1 round of brie cheese about 8 oz. Slice apples and arrange on platter with crackers. Set aside. 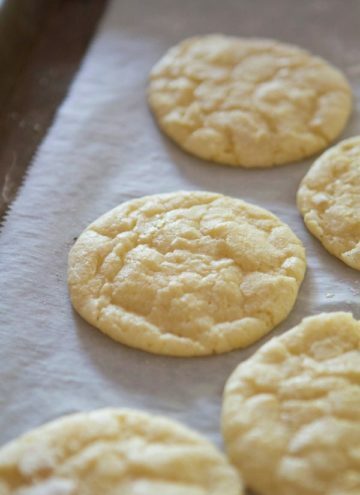 Place whole wheel of brie cheese onto a baking sheet lined with parchment paper or foil. Bake 8 minutes. 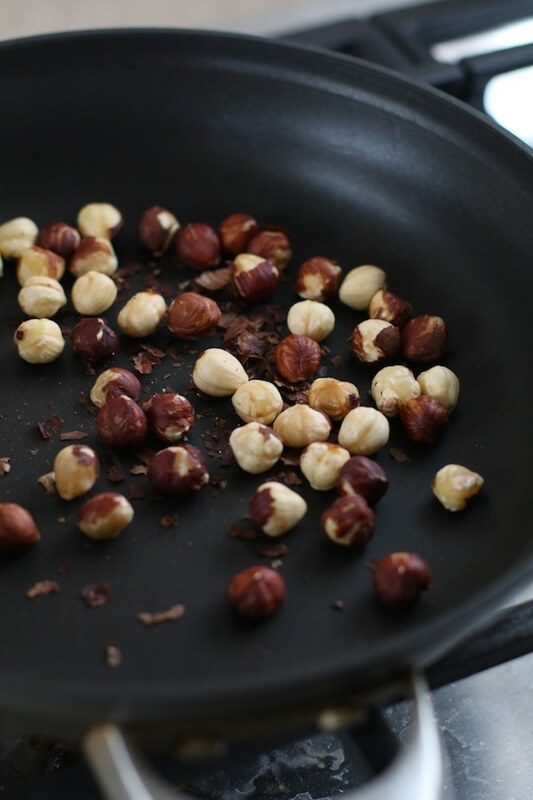 While cheese is baking, place hazelnuts into a small skillet and toast over medium heat. Remove from pan onto paper towels to rub skins off. Remove cheese from oven and place onto serving platter. Wipe pan out and place back over medium heat. 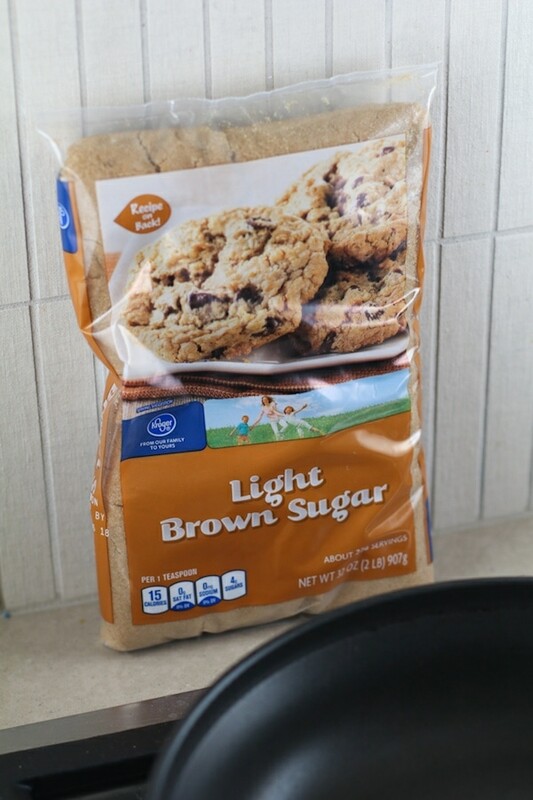 Add in water and brown sugar and stir until sugar has dissolved. 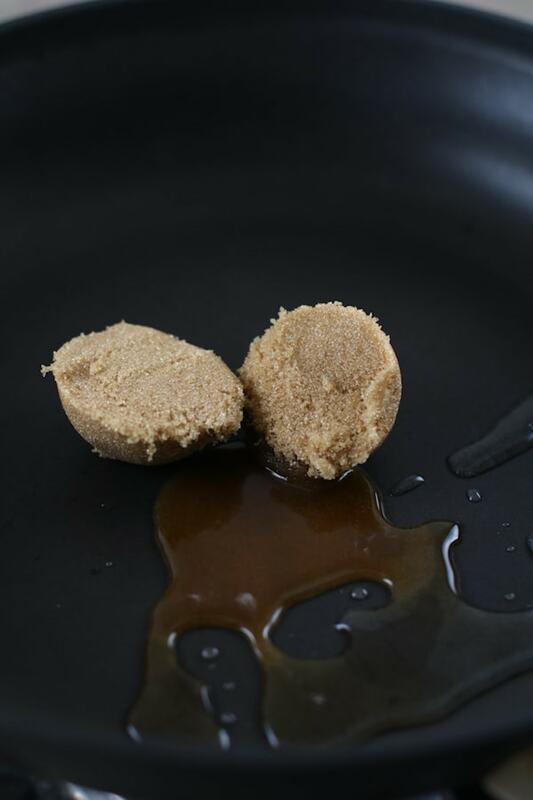 Pour in toasted hazelnuts and stir to coat and sugar mixture starts to bubble. 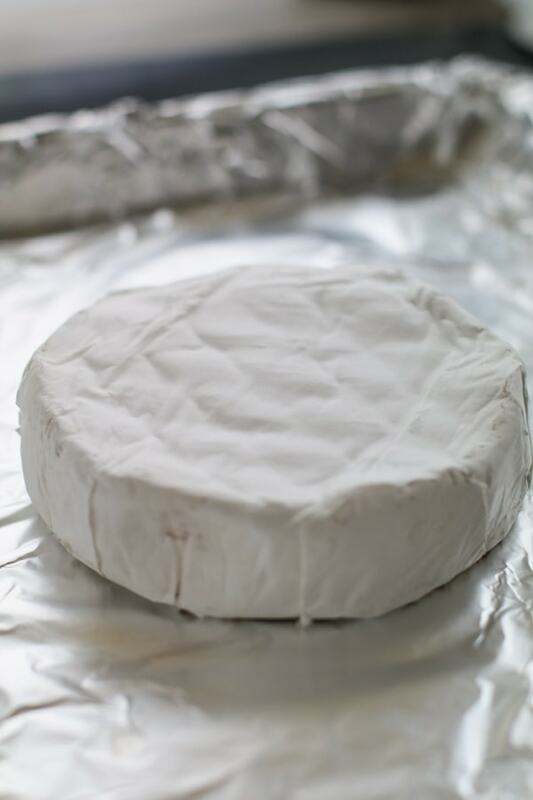 Immediately remove from heat and pour over warm brie and serve. This sounds amazing! So excited to have a fast and easy appetizer recipe to whip out. Thanks!! Wow, I just want to try it now. can’t wait :)) . Thank you for your sharing and by the way, the pictures are so great :). This looks amazing! Think I’ll try it for one or more of our holiday gatherings!! I make Brie encrout every year at Christmas. I usually just stick to my same recipe of raspberry Jalapeño. It’s very good, but this year, I’m trying this recipe. It looks amazing! Recipe was delicious, took the Brie to a Christmas party and it was the only appetizer that was completely eaten. 3 moms wanted the recipe so I directed them to your website. Enjoy the holidays. This looks wonderful! Hubz and I will be snuggling in together for much of the holiday week, so we like to have “treat foods” for just us that we can enjoy while watching movies. We love a baked brie! 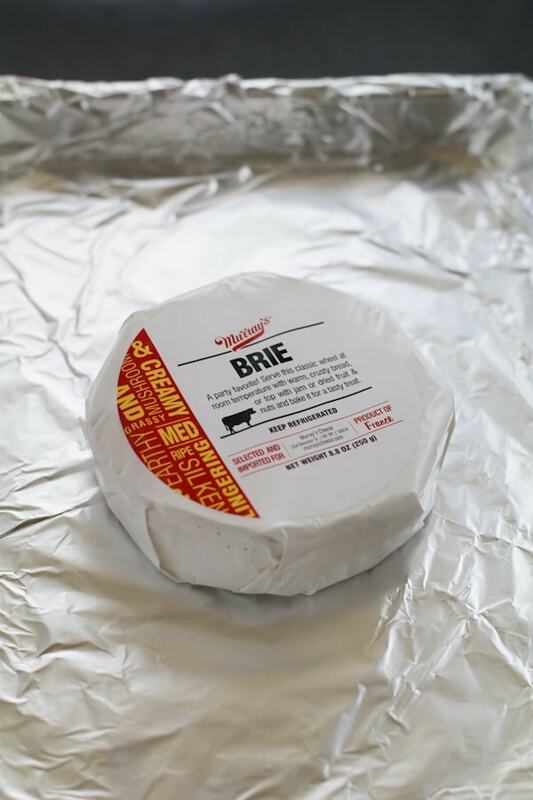 I love Brie and I can’t wait to try this recipe. This looks wonderful! My family and I do a simple version with puff pastry and raspberry jam, but this looks incredible. We’ll have to try this! I’m looking for a baked brie to take to my in-laws’ house for Christmas eve. 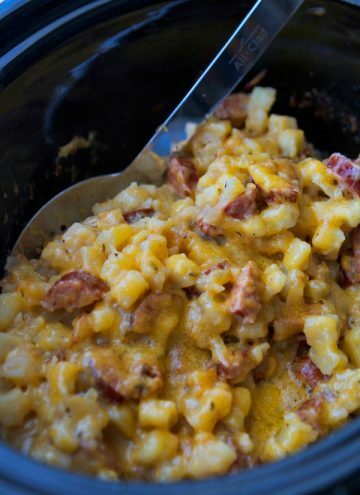 This might just be the winner recipe! Yay! Going to make this for Christmas Eve! Oh man this looks divine! Will have to tr this over the holidays. I’m so excited to try this recipe. I was looking for something easy to make but fancy looking for my mom’s Christmas. She is such a great cook, I have to show up with something great and this fits the bill as she loves hazelnuts. 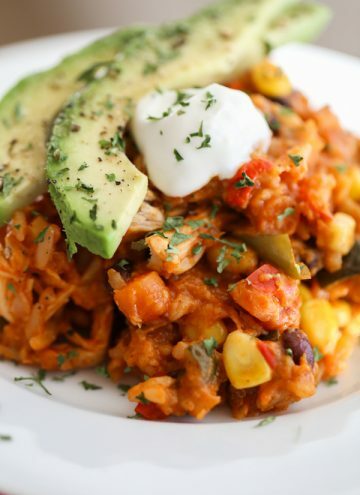 Im a full time working mom with two kids in full time sports so I enjoy your quick but delicious recipes! Have a great Christmas. Great recipe idea! We have baked Brie with dried fruits, nuts and jam. Need to try this hazelnut version. Looks delicious! This recipe looks so good!!! This looks so delicious! I love baked brie but have never tried it with hazelnuts – could be a great Christmas treat. I have just recently been introduced to the deliciousness of baked Brie so I enjoy seeing new and different ways to serve it. I’m adding this to my list of “oh, so easy” appetizers. Especially with the apple slices. I think I’ll try both a sweet and a tart apple as well as baguette slices. Yum! Not sure why I’ve never made baked Brie before because I absolutely love that cheese. 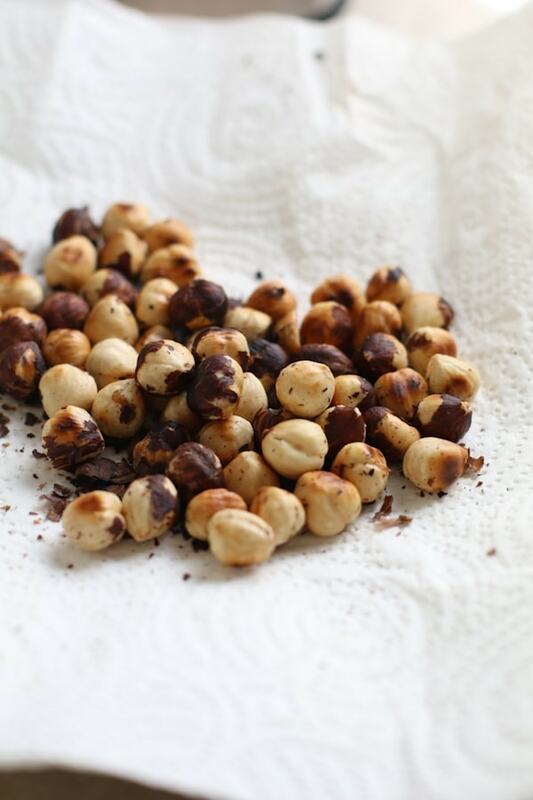 Since I’m also crazy about hazelnuts, this is the recipe for me! Sounds so easy and yummy! Can’t wait to try this (for New Year’s perhaps?)! 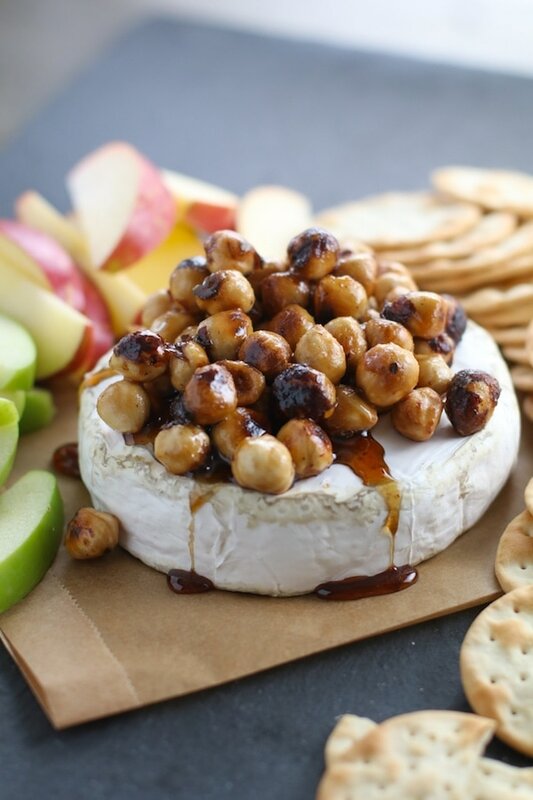 Baked brie is one of my favorite apps! The addition of brown sugar hazelnuts sounds delicious. Definitely going to make this! Because this looks like a little piece of Holiday cheer! Christmas Eve menu planning! Thanks for the share! Because this looks like a little piece of Holiday magic! Christmas Eve menu planning! Thanks for the share! I’m making this for a Christmas Eve gathering we’re having this year. It looks amazing! This was a huge hit!! So good it was there one second and gone the next! This sounds and looks SO good. I will definitely have to try this or something similar one day. Brown sugar hazelnuts would be a great addition to some other recipe or dessert too. Cannot wait to try this! Thanks for such simple clear instructions. Baked Brie is one of my favorite Christmas traditions! Yum! What a great simple yet impressive appetizer for a holiday party. 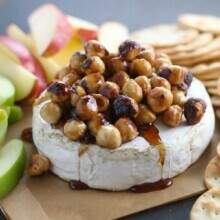 My aunt loves brie, I might have to make this to share at our Christmas brunch! Baked brie is one of my favorites – I really want to try this one, think it would be a big hit! We usually like to wrap ours in puff pastry first though – but with the hazelnuts for extra crunch texture it probably doesn’t even need it! making this as a Christmas app this year, cant wait!!! Baked brie anything is always heaven! I made this for thanksgiving and it was so good. As I was peeling the hazelnuts I kept saying “this better be worth it” and it was! No one had had hazelnuts before and we have all found a new love. It went perfectly with the Brie and apples put it over the top. So glad you posted about this over on Instagram to highlight it for Thanksgiving.